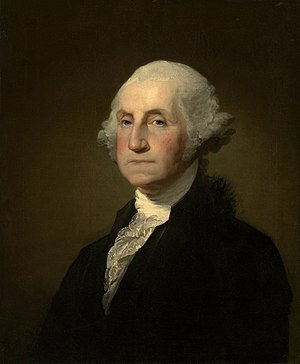 In the early 1750s Washington was sent on several occasions as an ambassador to the French and Indians, traveling as far north as present day Erie, Pennsylvania. His Virginia was competing with Pennsylvania for the area around what would become Pittsburgh, and both were in opposition to the French who saw control of the territory as crucial to their efforts to unite Quebec and Louisiana via river. The French and their Indian allies also sought to quarantine the British settlers on the East Coast. Washington’s reports of these expeditions, some of the earliest accounts of life west of the Appalachians, became popular reading in the colonies and in England. In 1754, Virginia’s Governor Dinwiddie sent George Washington, then a commissioned Lieutenant Colonel in the newly created Virginia Regiment (a colonial militia), on a mission to the Ohio Country to surprise the French occupants and attempt to turn them out, thus securing valuable territory for Virginia. Two hundred fifty-four years ago this weekend Washington’s raiding party was somewhere in the mountains near the border of Pennsylvania and West Virginia (today) marching toward infamy. Along the way, Washington’s regiment was destined to ambush a French scouting party, led by Joseph Coulon de Villiers de Jumonville. This is where things get messy: what was the mission of this patrol composed of Frenchmen and Indians? They had come from Fort Duquesne, but for what reason? Washington assumed their intent was foul play. At daybreak on May 28, he and his men ambushed the French camp (near what is now Jumonville in the SW corner of PA in the Laurel Highlands near Uniontown). Without warning Washington gave the order to fire. When it was over ten were killed, one wounded, and nearly all survivors were taken prisoner. To hold the newly “won” territory Washington and the men built a fort nearby– Fort Necessity– which subsequently proved insufficient. Disaster ensued: apparently Washington was unable (or unwilling?) to restrain his charges from attacking the prisoners; the soldiers (and their Indian allies) brutally massacred them one by one, including Jumonville. The gloves were off. It wasn’t long before the French and their Indian allies launched a swift counterattack. Fort Necessity was surrounded and Washington and his men, under siege, eventually surrendered. In 1755, Major-General Braddock headed a major effort to retake the Ohio Country. Washington’s first retirement was short-lived; he eagerly volunteered to serve as one of Braddock’s aides. The expedition ended in disaster though– at the Battle of the Monongahela Braddock was killed. Yet Washington distinguished himself in the battle, reportedly displaying both courage and calm under fire. Washington was once again a hero, and was chosen to replace the fallen Braddock as commander of the new Virginia Regiment. His rank was colonel. His task: for three years he was responsible for guarding hundreds of miles of mountainous frontier with too few men to adequately do the job. Frontier fighting was heavy and Washington and his men fought numerous engagements under difficult conditions– they faced mountainous terrain, unpredictable weather, and the twin difficulties of communication and supply due to the long distance from their home base. After several years Washington grew impatient for advancement. It wasn’t to be; even after his leadership in the successful Forbes Expedition in 1758 that successfully evicted the French from Fort Duquesne. Unrewarded, Washington retired from active service a short time later. Thomas A. Lewis, For King and Country: The Maturing of George Washington, 1748–1760 (1992). this site is great when lookin 4 people from the past. i can finally do my HW. The Brits took being drawn into the Seven Years’ War personally and ended up taking it out on America, which it viewed as having started the war. They felt that the cost of the war should have been paid by the American colonists, which the colonists, of course, protested on the basis that there was no representation afforded them in Parliament, a right afforded to them as Englishmen. When the Americans responded negatively to the taxes, Parliament upped the ante by passing the Intolerable Acts, the Stamp Act, and the Quartering Act (not in that order), and with each act that was implemented, America responded steadily more negatively, which prompted the next act, and so on. This “escalation and response which brought about more escalation and a new response” circle would never have happened if Jumonville had never happened. In a very real way, if this battle didn’t happen, there’s a chance that the Seven Years’ War didn’t happen, so there would have been no need for the back-and-forth escalation that led to the Revolution, and America may still be a British Commonwealth similar to Canada or Austrailia today.